A.J. 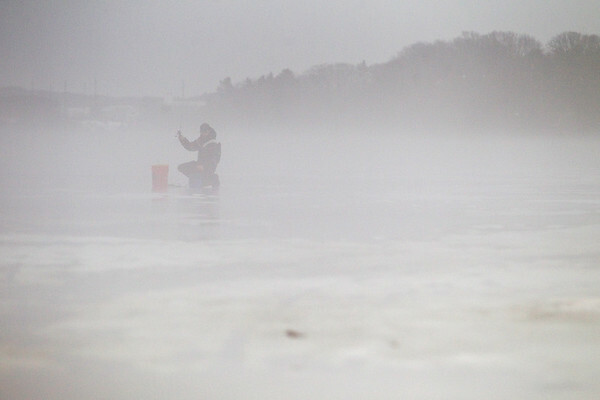 Rosinski fishes on a foggy Boardman Lake with Mike Parsons (not pictured) on Tuesday afternoon in Traverse City. The two said they left their spot on West Grand Traverse Bay because they were only catching small perch and deteriorating conditions. "It's not worth sitting there for hours for small ones," said Parsons.